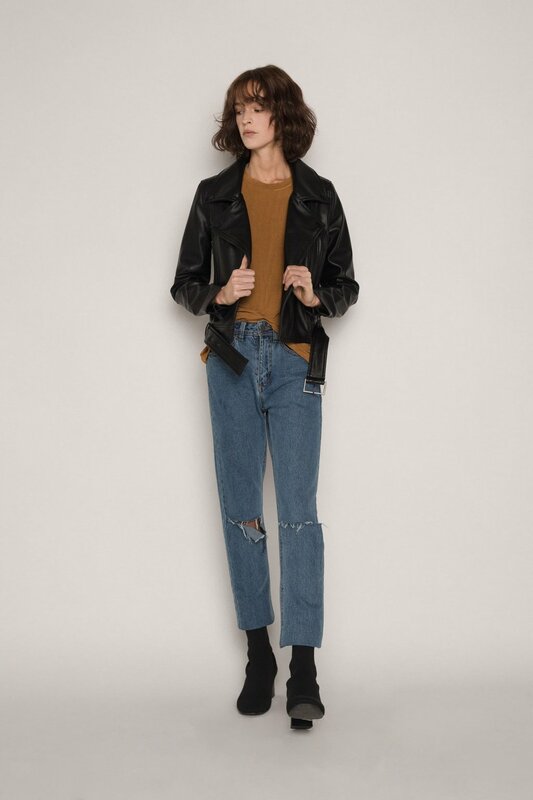 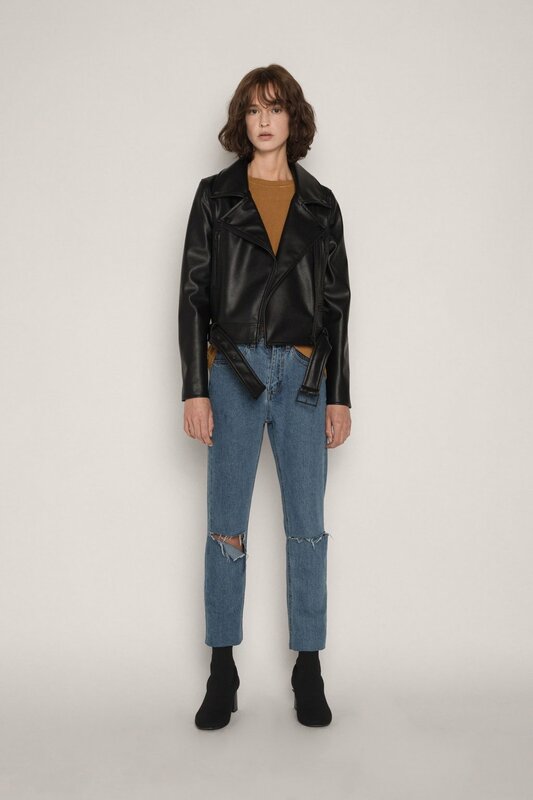 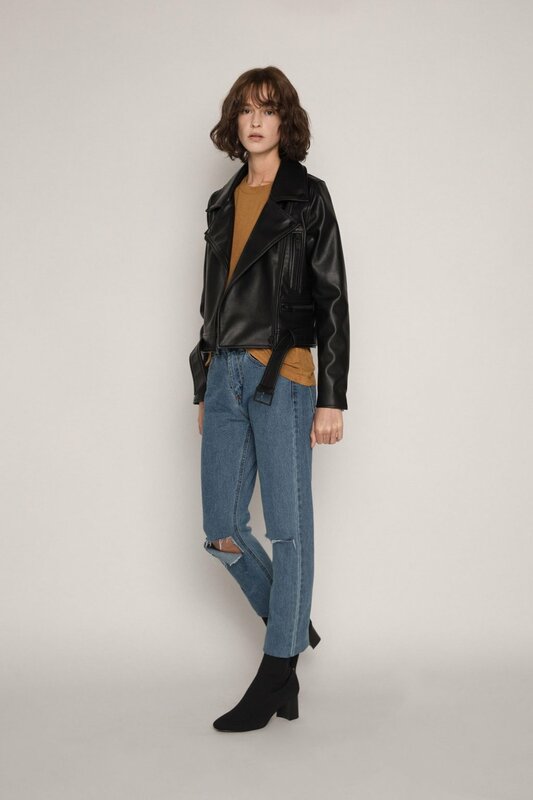 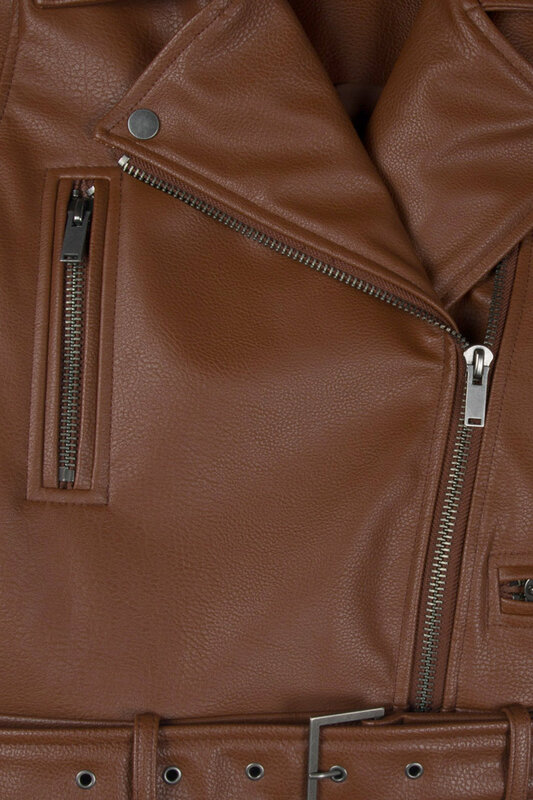 Featuring an asymmetrical zip front, three front pockets, zipper detailing at the sleeves, and a buckled belt at the hem, this vegan leather jacket is a classic for the cooler seasons. 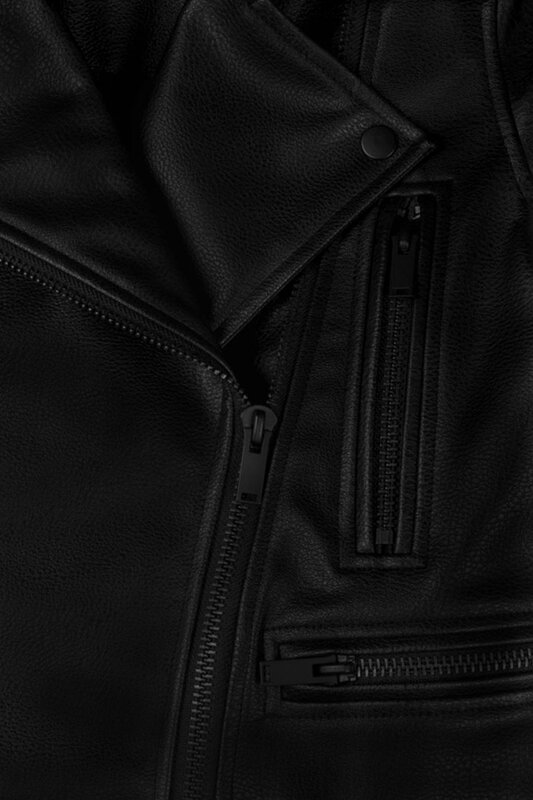 An alternative to our Jacket 1524, this piece features a cropped and tailored silhouette for an ever so flattering fit. 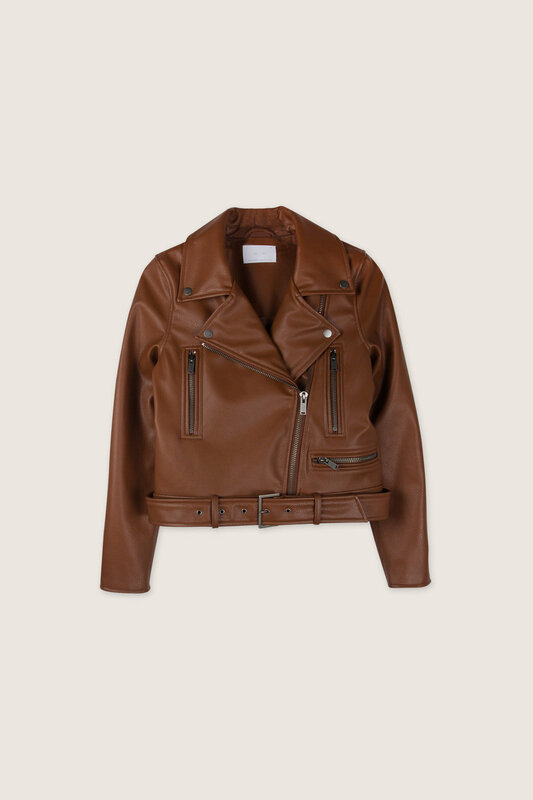 Pair with a turtleneck, denim, and ankle boots for an effortlessly chic and sophisticated everyday look.